Based in south-east Melbourne, the primary production facility is a 24 hour, 7 day a week purpose-built premises. This facility produces all breads and pastries as well as acting as the main packing and distribution hub. 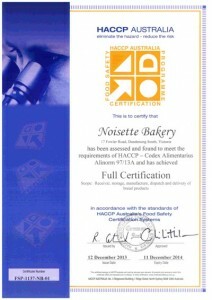 From the Port Melbourne retail store, all cakes are prepared and sold along with a large range of the bread and pastries.